Paul holds the titles of Trial Attorney, Online Marking Director and Shareholder with the Law Firm of Simmons and Fletcher, P.C. in Houston, Texas. In addition to practicing personal injury trial law, he engages clients and prospective clients through social media interaction, writing and publishing articles and blogging. Paul’s writings have been published online on numerous legal, social and informational websites. In addition to legal topics, Paul has been published on topics covering emerging issues such as vehicle automation, the ethics of online legal advertising, the use of skype in court procedures and using Google street view to prove a premise liability case. Paul received his Bachelor of Arts in Philosophy from the University of Texas at Austin in 1992. He graduated from South Texas College of Law and passed the Texas Bar in 1995. His career with Simmons and Fletcher, P.C. began as a law clerk in 1994 when he responded to a blind ad for a law clerk and was informed that it would be a temporary job with no long-term growth opportunity. In 1996 he was hired on as a full time litigation attorney. 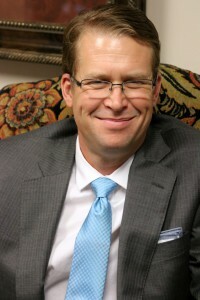 Since that time, he has earned numerous recognitions and awards as a trial lawyer including becoming Certified by the Texas Board of Legal Specialization in Personal Injury Trial Law in 2005 at the age of 34, recognition by H Texas Magazine as a Top Lawyer in 2013 and 2017, and recognition as a Texas Super Lawyer by Texas Monthly Magazine’s Texas Super Lawyer Magazine in 2017. Paul spends his weekends as a parent coach for both his son’s and his daughter’s select soccer teams.